SARATOGA SPRINGS, N.Y. (Aug. 13, 2018) — The Saratoga Automobile Museum has announced the addition and consignment of all 44 vehicles at no reserve from the collection of Dennis Dammerman, the late Vice Chairman of General Electric. The auction will once again take place at the Saratoga Performing Arts Center (SPAC) in Saratoga Springs, N.Y. on Sept. 21 and 22. “We are incredibly honored and excited to have the Dammerman Collection featured in our Fall 2018 auction. We are fortunate to have earned the confidence of Mrs. Dammerman to promote and sell the collection on the stage at SPAC this September. 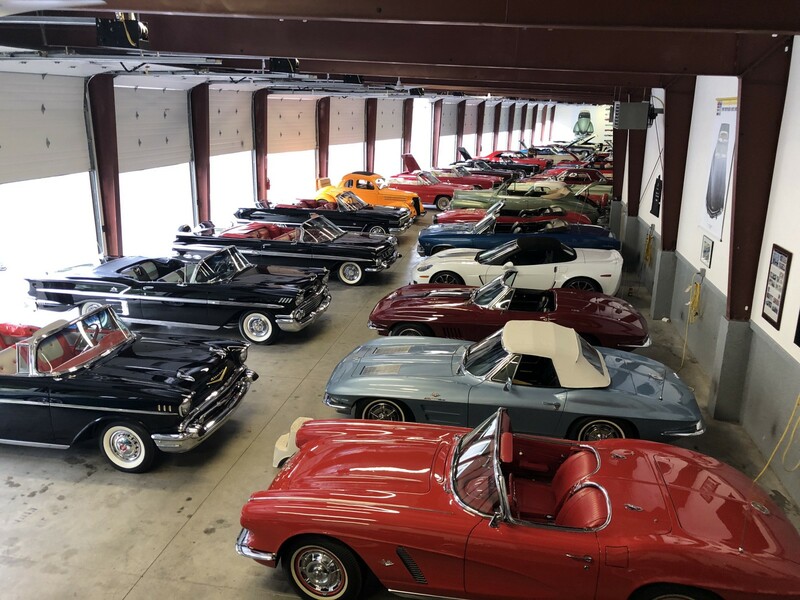 This has taken our auction to the next level with the offering of all 44 cars of the Dammerman Collection being offered at no reserve,” said Jeff Whiteside, auction director. An Iowa native raised in Grand Mound, Dammerman — who passed away at the age of 67 in 2013 — was the late vice chairman of General Electric. Mr. Dammerman was 38 when Jack Welch named him GE’s chief financial officer in 1984, the youngest CFO in company history. He held the position until 1998, when he became a Vice Chairman and Executive Officer of GE and Chairman of GE Capital Services, Inc. The same year, CFO Magazine honored Dammerman with its first Life Achievement Award for CFO Excellence. Dammerman joined GE in 1967, shortly after graduating from the University of Dubuque in his native Iowa. He joined GE’s financial management program and held various financial assignments in several GE businesses. He was appointed to lead GE Capital’s real estate financial services division in 1981, a job he held until Welch named him Senior Vice President-Finance and CFO. In addition to his service on numerous boards, Dammerman spent his retirement years indulging his passion for horses and automobiles, both classic and contemporary. Following his retirement, he and his wife, Marsha, made their primary home in Wellington, Fla., where Dammerman was a founding partner of Wellington Equestrian Partners, which developed the Winter Equestrian Festival into the largest and longest-running event in the sport. He enjoyed watching his wife compete in the Winter Equestrian Festival and throughout the Northeast. For more information about the Saratoga Auto Auction or to register to bid, visit saratogaautoauction.org. To consign a vehicle for the auction, contact Jeff Whiteside at (518) 587–1935 x22 or at jeff.whiteside@saratogaautomuseum.org. For learn more about the Saratoga Automobile Museum, visit saratogaautomuseum.org.